Capcom later added that all eight games will be coming to Switch, PS4, Xbox One, and PC in the summer of 2018. 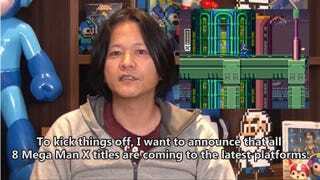 This is the third legacy collection for Mega Man games, following compilations of the NES games in 2015 and then earlier this year. Bluehole has announced that PUBG will be taking over Gamescom with its first LAN Invitational tournament.